The Philippines has strongly condemned North Korea’s latest missile launch and warned of dangers to shipping. 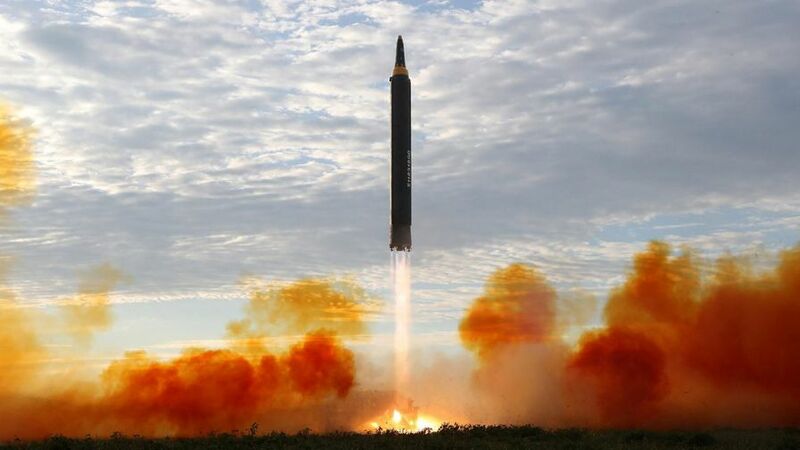 North Korea’s state media has claimed that the new type of missile launched today (Wednesday, November 29) is “capable of striking the whole mainland” of the United States. North Korean leader Kim Jong Un also said his country had achieved “full nuclear statehood”. Mr Cayetano then called on North Korea, also known as the Democratic People’s Republic of Korea (DPRK), “to cease its nuclear weapons development programme”. “Meaningful dialogue can only happen when the DPRK ceases such provocative and highly dangerous actions,” he said. The country’s top diplomat also pointed to the “readiness” of the Association of Southeast Asian Nations (ASEAN) to help ease tensions in the Korean Peninsula. “We also reiterate ASEAN’s readiness to play a constructive role to help reduce tensions and promote peace in the Peninsula,” he said. The intercontinental ballistic missile launch poses a another challenge to President Trump who had previously vowed that such a capability “won’t happen”. Meanwhile, the Philippine permanent representative to the International Maritime Organisation (IMO) has voiced “serious concerns” that such launches could jeopardise safety of navigation. The Department of Foreign Affairs (DFA) said that the missiles fly over the edge of the Philippines’ exclusive economic zone on the eastern part of the country. ALSO READ: Duterte calls Kim Jong Un "chubby son-of-a-whore maniac"
Without warnings, they pose clear and serious dangers to the safety of Filipino fishermen and ships, particularly from the falling stages of the missile.